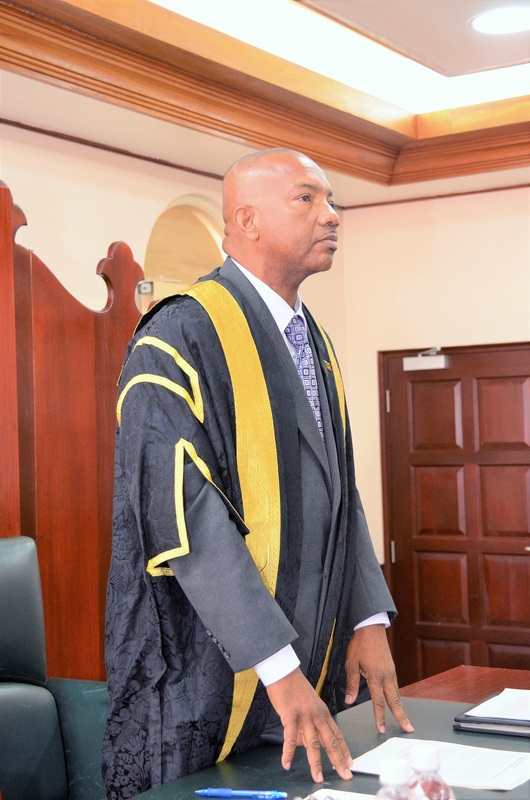 BASSETERRE, St. Kitts – The Order Paper has been circulated for a sitting of the National Assembly to be held at the National Assembly Chambers, Government Headquarters, Basseterre, on Tuesday, Jan. 23 at 10 a.m. Notice has been given. This is the first sitting of the National Assembly for 2018. The Honourable Prime Minister and Minister of Finance, Sustainable Development, National Security, People Empowerment and Constituency Empowerment, Dr. Timothy Harris, will seek leave to introduce and have read a first and a second time Development Control and Planning (Amendment) Bill 2018. The Honourable Minister of Public Infrastructure, Posts, Urban Development and Transportation, Ian Patches Liburd, will seek leave to introduce and have read a first and second time St. Christopher Air & Sea Ports Authority (Amendment) Bill 2018 and Vehicles and Road Traffic (Amendment) Bill 2018. The National Assembly will be carried live on ZIZ Radio (96 FM) and participating radio stations. It can also be viewed live on TV Channel 5 in St. Kitts and Channel 98 in Nevis. It will also be streamed live at www.zizonline.com.